I just read this in a tweet on the Borders Twitter account. I love that following my favorite stores gets me tons of great deals! 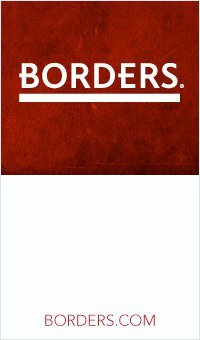 FREE shipping at Borders.com through Thursday with no min. purchase! Just use promo code SNOWGO (or SNOWBOX to a P.O. box). The Bargain Book section makes for some really great deals. Following :) Thanks for stopping by. Nice Blog! Hello! I am a new follower from the Simply Follow group at Mom Bloggers Club, so glad to have found your fun blog. Have a wonderful evening! Thanks for sharing such interesting read Coupon are a great way which helps us a lot for getting discounts while shopping.